Next Stop: Food | Food Blogger located in Sydney Australia: Onyx Restaurant & Cocktail Bar - A Rocking Time! Onyx Restaurant & Cocktail Bar - A Rocking Time! 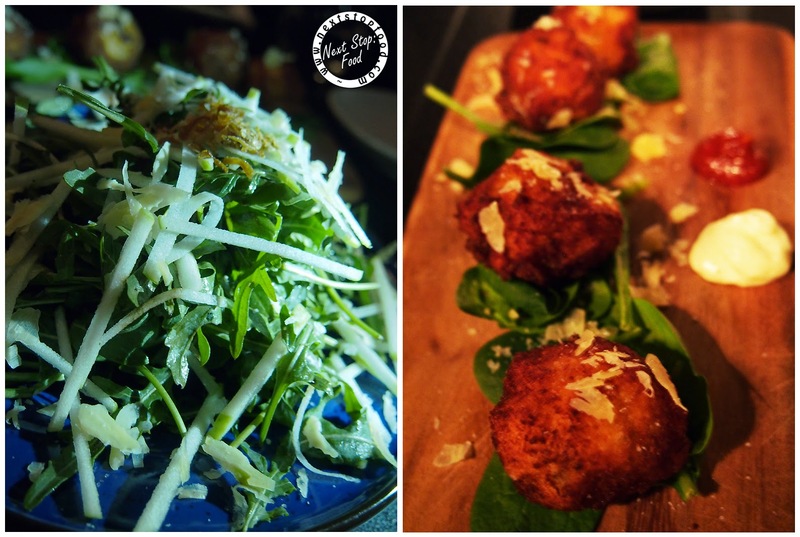 Must Try: Cocktails (over 50 to choose from), Empanadas and Croquettes. 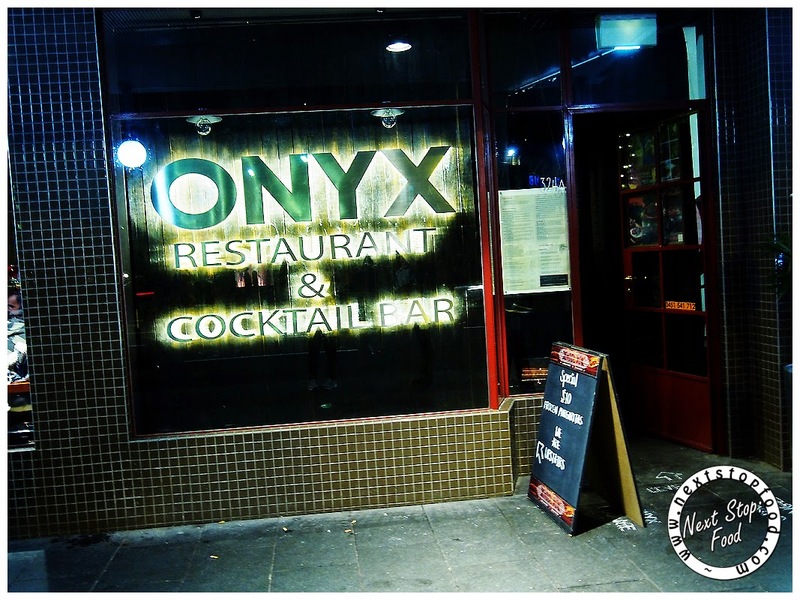 Last Saturday night in the hustle and bustle of Newtown, Felicia and I came to dine at Onyx Restaurant & Cocktail Bar. As the name suggests, we were going to have a rocking time (no pun intended). We were ready to try some cocktails! We got the chance to meet Gerry the owner and he told us to relax and enjoy the food. 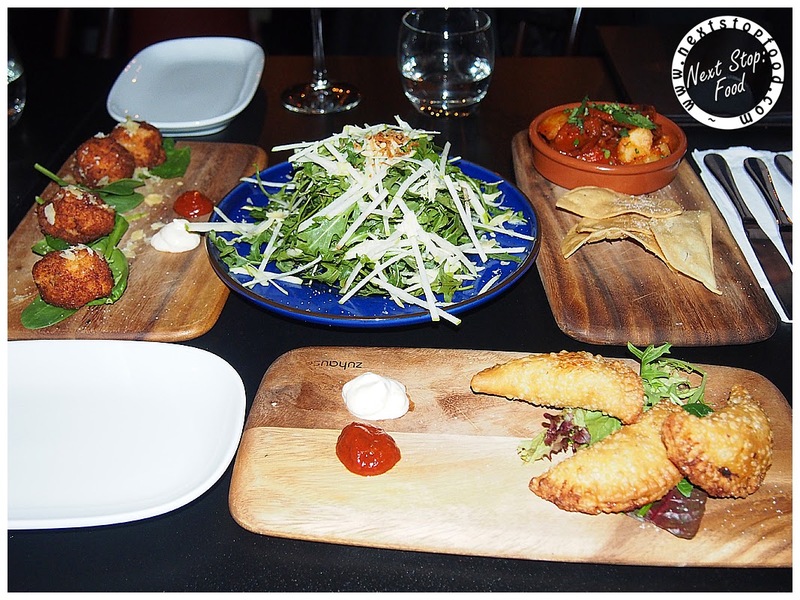 Gerry informed us this is his 4th restaurant, his previous one being Agave in Surry Hills. I asked him where the restaurant name came from and he mentioned in his home town, they have mines dedicated to onyx. He even showed us the onyx lamps near the bar, it is quite beautiful and exquisite. To start the night off, Felicia chose Pisco Sour (Pisco, fresh limes and simple syrup) and I chose an Illusion (Coconut Rum, Melon Liqueur, vodka, Pineapple). 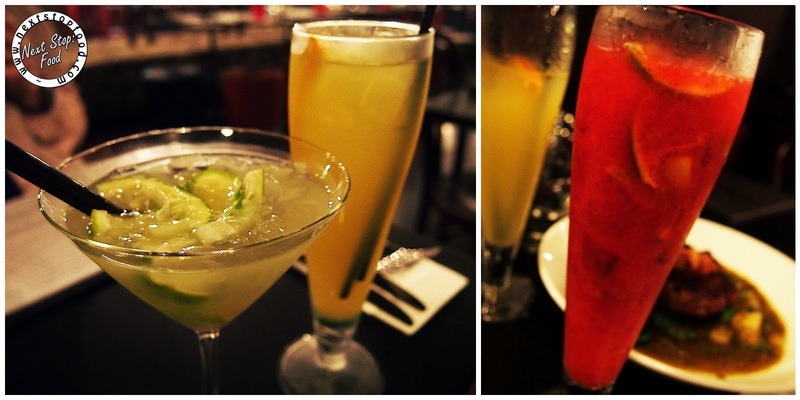 Both drinks were colourful, delicious and had plenty of alcohol to give us a buzz. 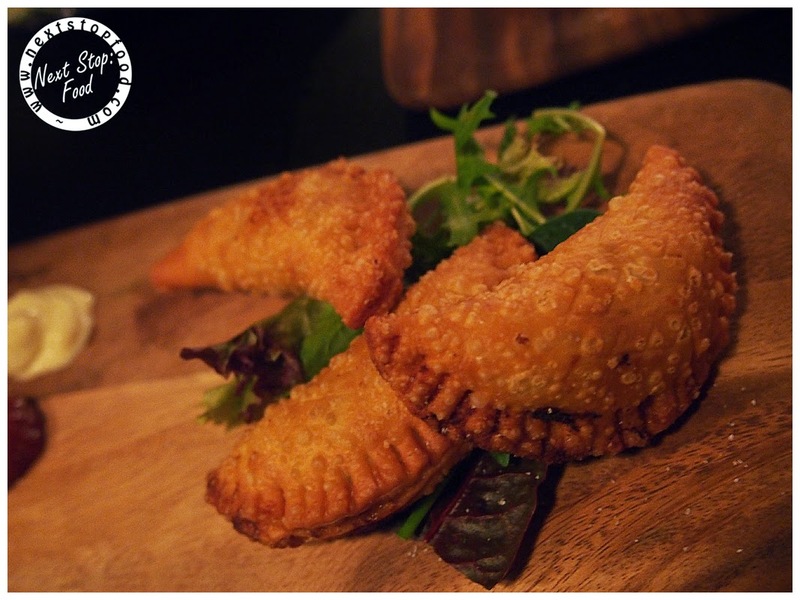 We decided to order 3 starters, these being Chicken Empanadas, Chicken Croquettes and Pork Chorizo and Potato. The empanadas were very tender and tasty, this was my favourite dish for the evening. 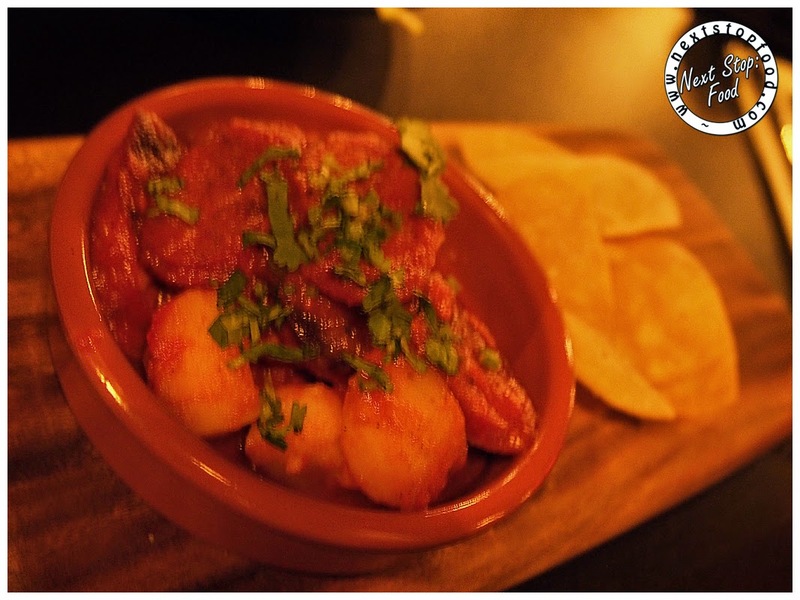 The Chorizo was soft and tender; it was a little sweet and not very spicy. The Croquettes were very tender and nicely prepared. The accompanying sauces chilli and aioli went well with the dishes and enhanced the flavours. 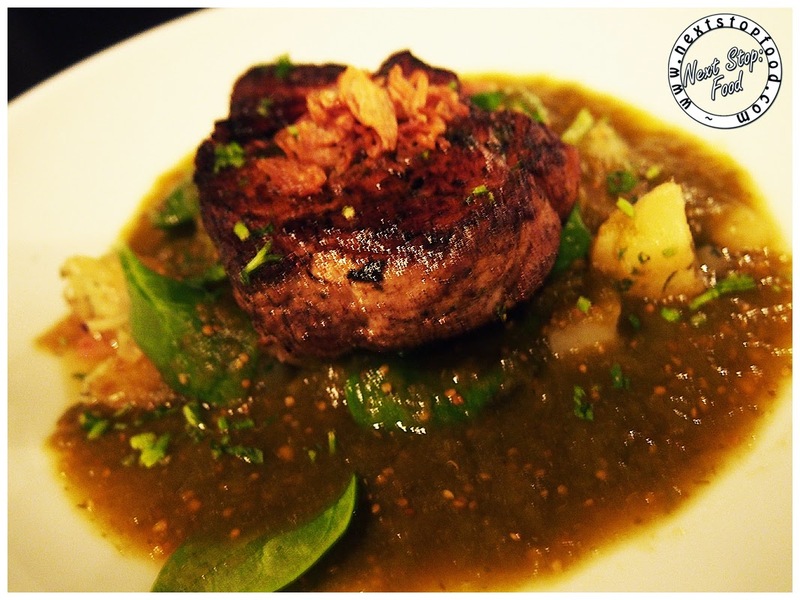 For our main dish we chose the Pork Neck, this came with potato and spinach and a very fiery spicy sauce. Felicia really enjoyed the sauce as she likes spicy foods. The pork was great with the sauce and the dish was good overall. We chose an additional salad, consisted of Rocket, apple & parmesan salad, pine nuts & balsamic oil. I don’t usually eat salad, but this was delicious. The apple was really refreshing. Moving onto dessert, if you’re like me, I always have room for dessert! We chose Churros and Chocolate Brownie with Salted Caramel ice cream. We just could not resist, especially salted caramel ice cream! 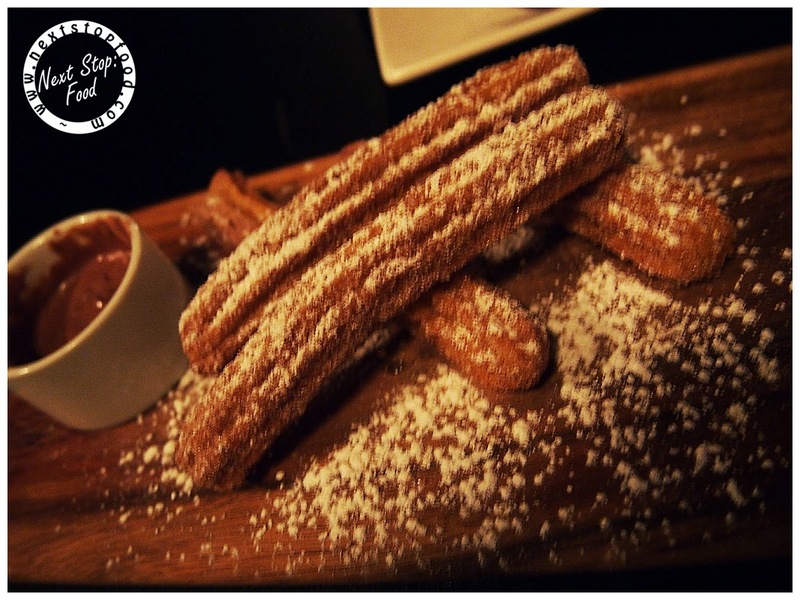 The churros came out and they were fresh and hot, very nice and went well with the hot melted chocolate. 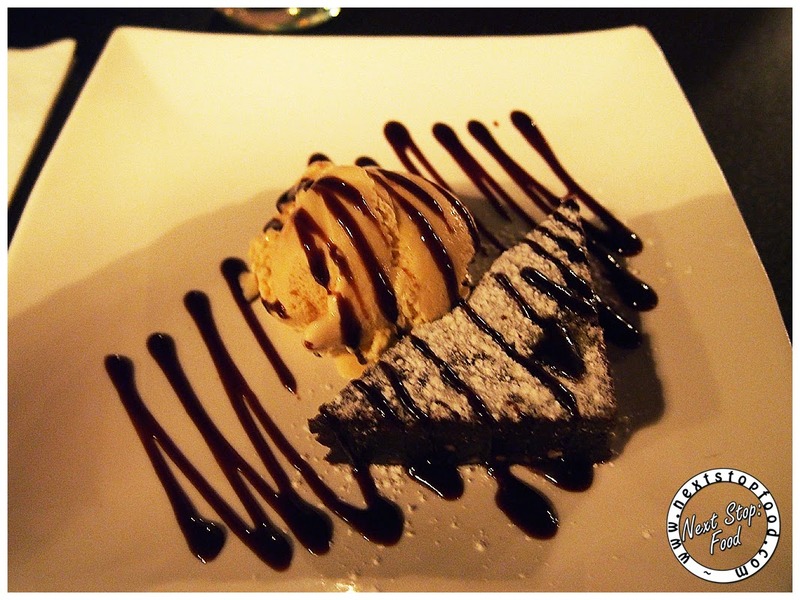 The Chocolate brownie looked delicious, alongside the salted caramel ice cream, this tasted as great as it looked! Felicia and myself had a great time here and it was great to meet the owner and our wait staff were very accommodating. This would be a great place to come for a few predrinks or a night out with your mates. All comments are based on my own opinions. A warm thank you to Kirsty and Gerry for the invitation. The pork neck sounds tasty. And aww it's been years since I had an Illusion!